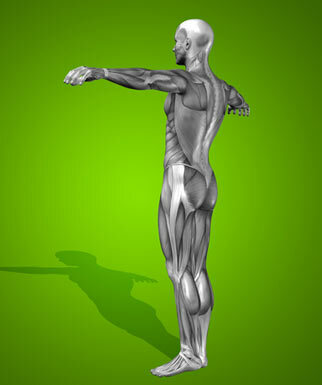 Going to the doctor is usually an unpleasant thing, but not if you see one of these physicians. 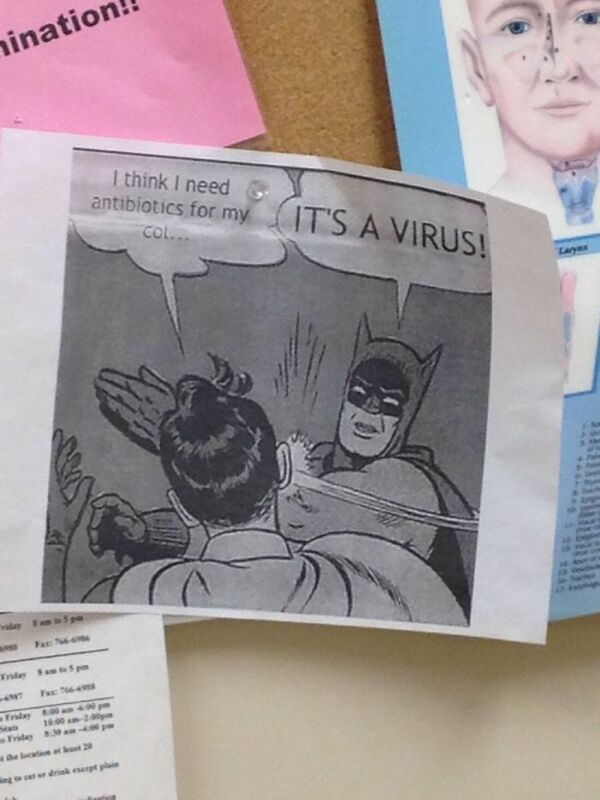 Being a doctor is a hard job so it’s easy to see why they feel they need to keep a sense of humor. While there are moments for seriousness, there are also times for fun. 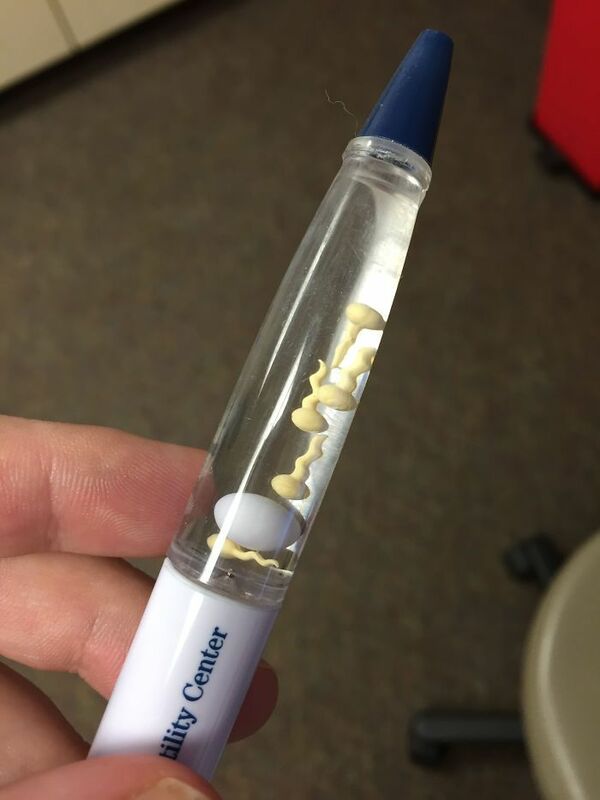 When the work is slow, doctors like to have fun too. 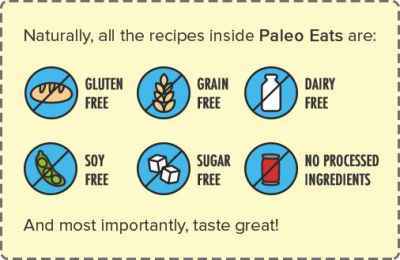 They prank each other, leave funny notes lying around and generally just goof off. They are proof positive that laughter is the best medicine. 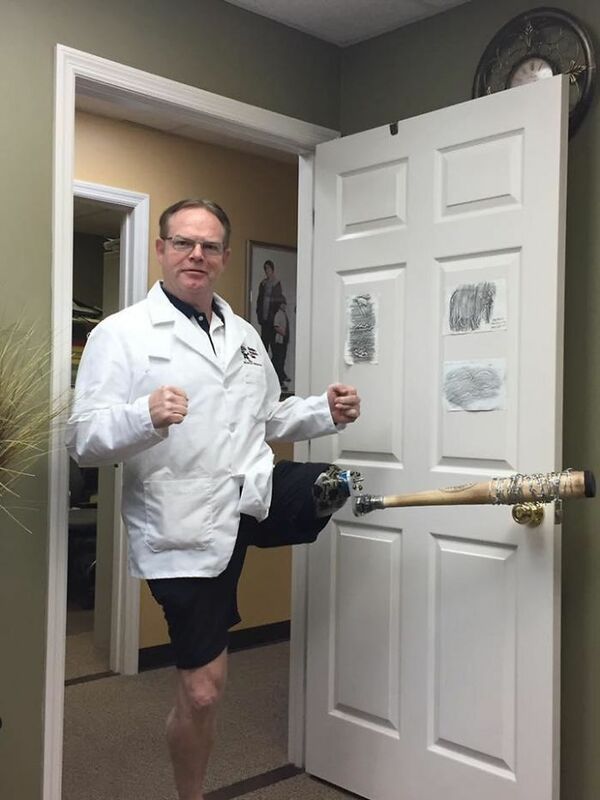 Have a look at these and you’ll wish these doctors were your on-call. 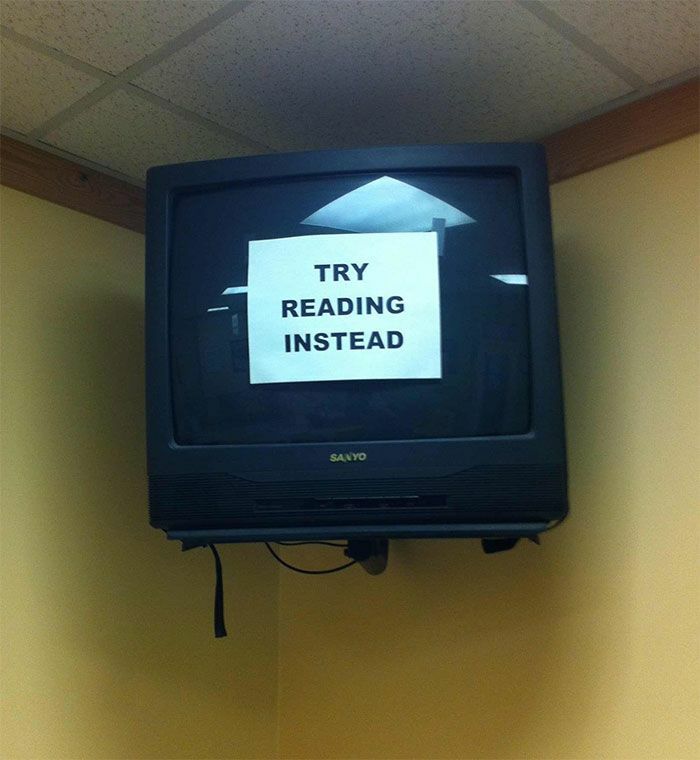 This funny doctor has a unique way of telling his patients they don’t need to watch TV. 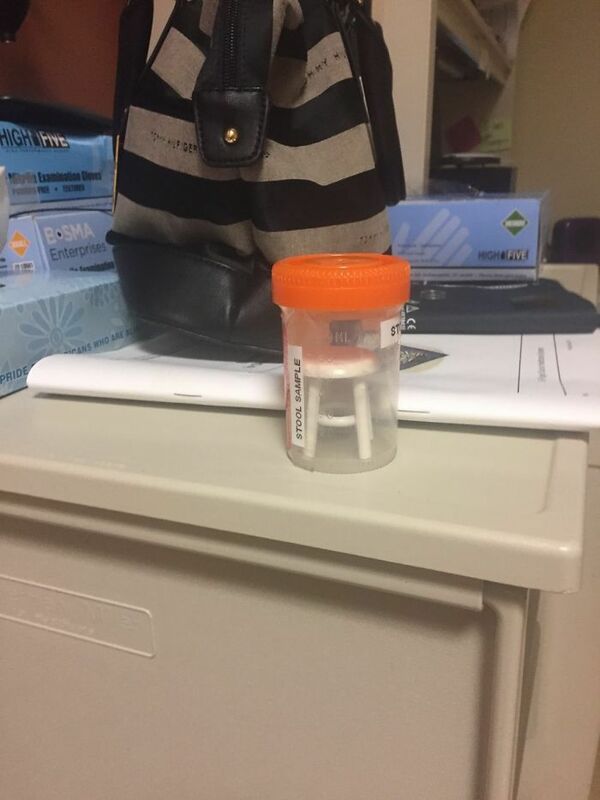 This isn’t quite the stool sample this patient was expecting to have to leave behind. 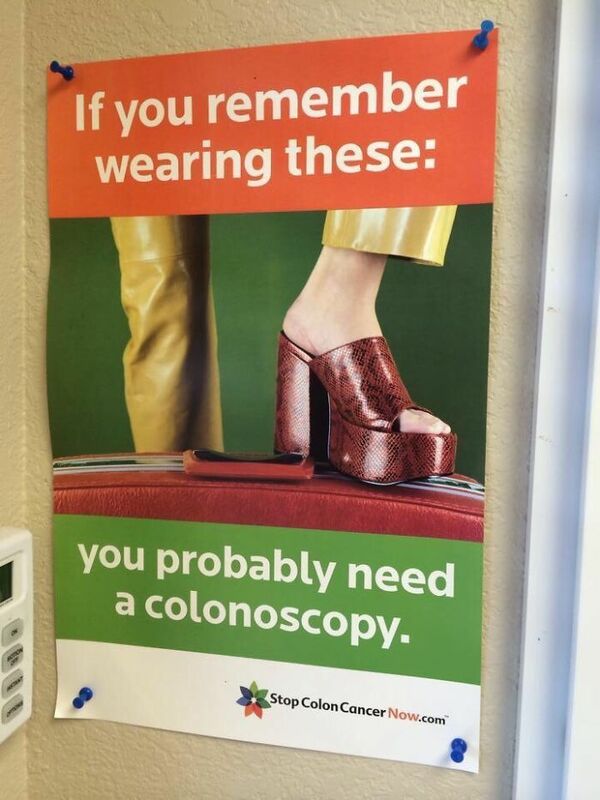 If you’re at a certain age, this is a subtle reminder that it’s time to have your colonoscopy. 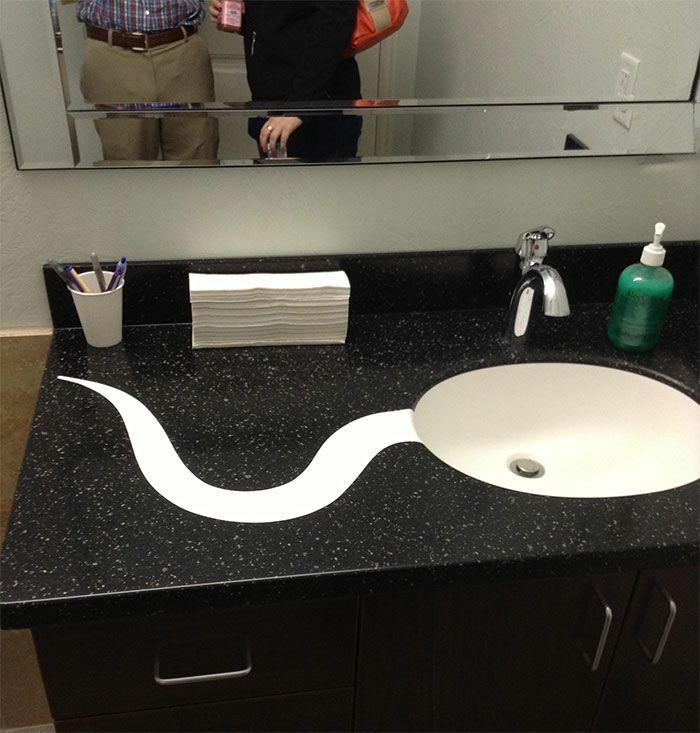 Here’s a fertility doctor with a great sense of humor! 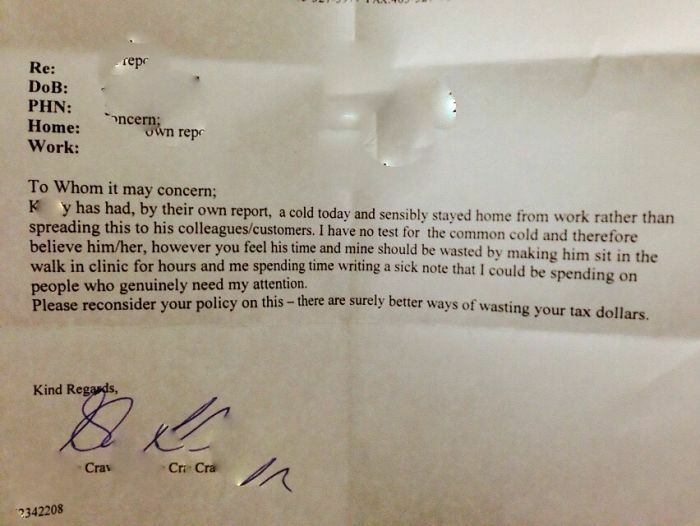 This doctor clearly doesn’t think much of the employer’s request for a sick note. 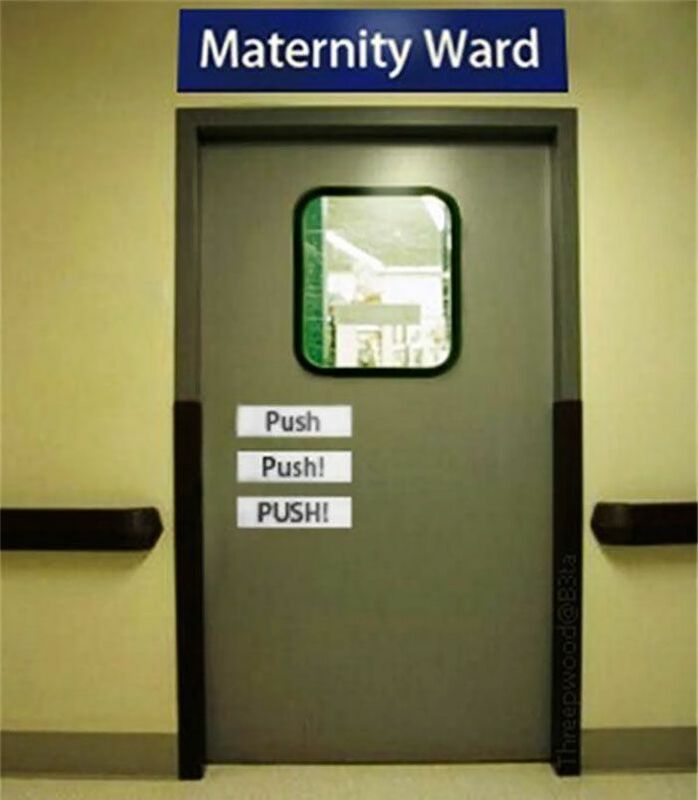 Those signs are just a foreshadowing of what’s to come on the other side of the door. 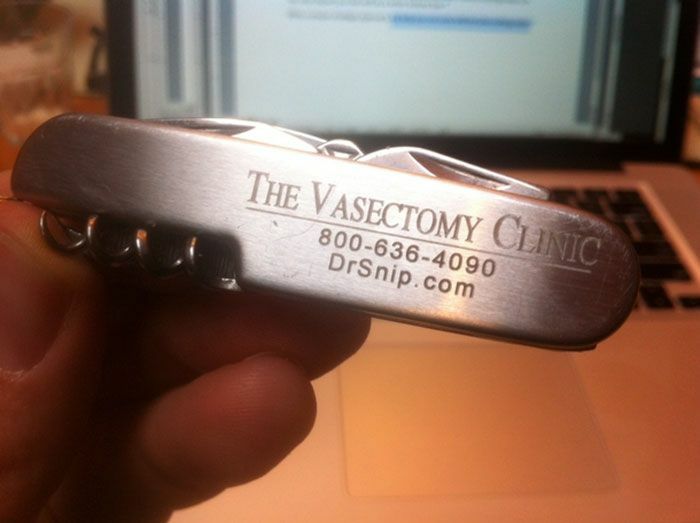 Would this make you want to book your vasectomy at this clinic? 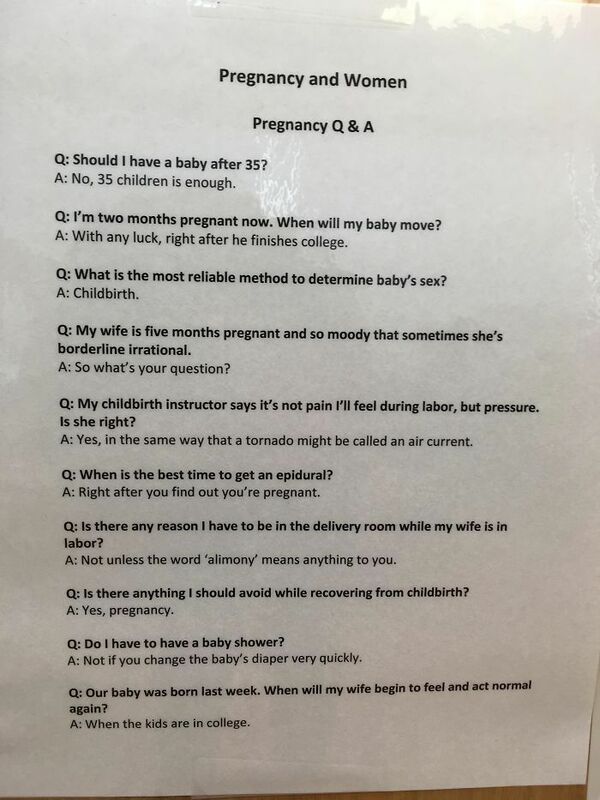 This Q&A is a funny way to pass the time while waiting at the OB/GYN. 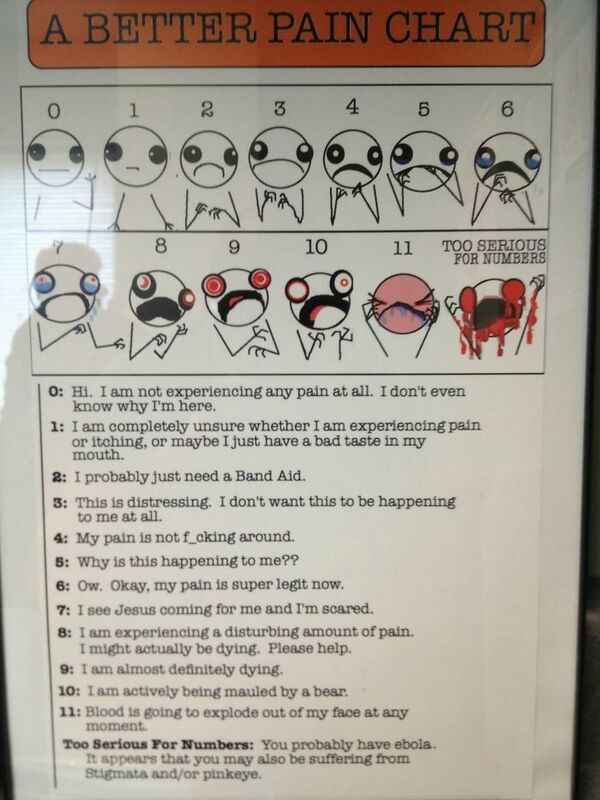 This pain chart is much more entertaining than the original and probably more accurate too. 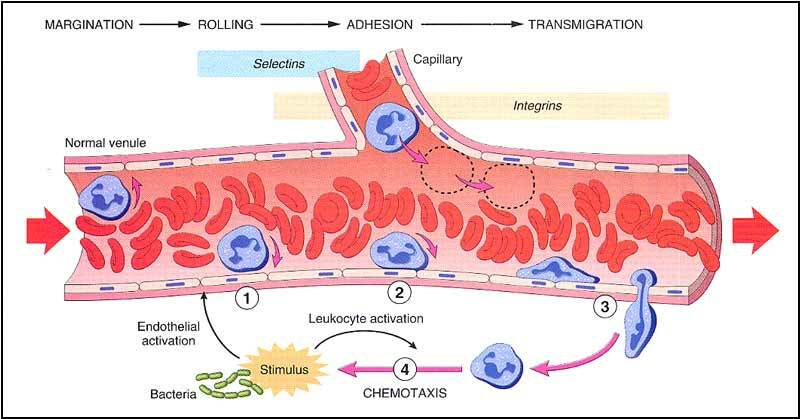 Just a simple reminder that you probably don’t need antibiotics. 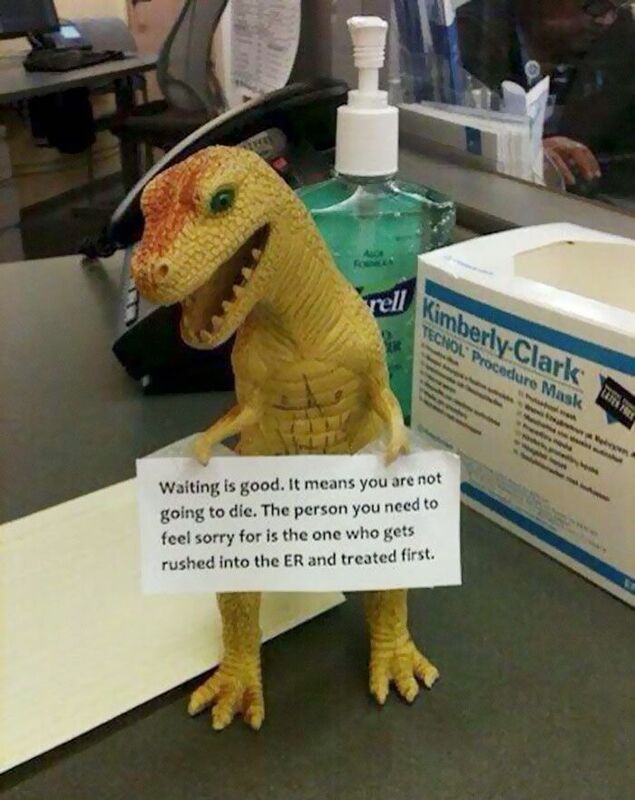 Every emergency room should have this handy reminder for the patients. 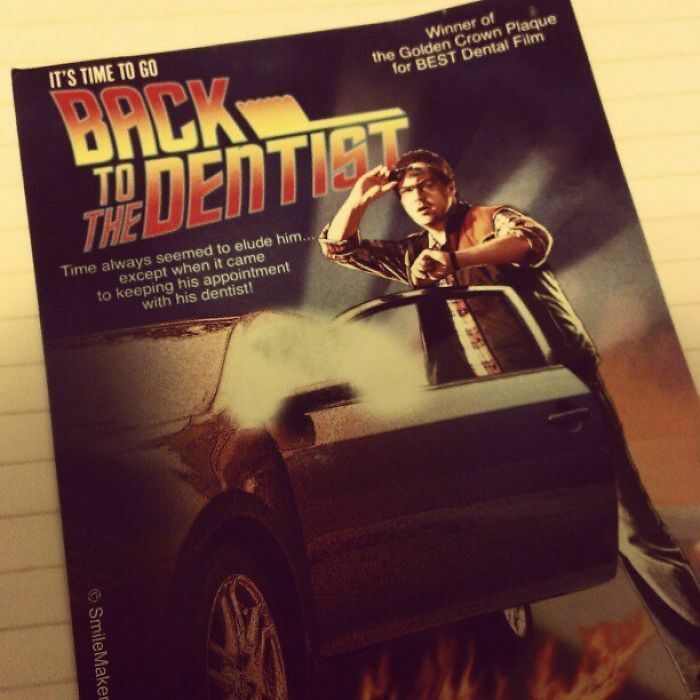 Here’s how one dentist reminds his patients it’s time to come in for a cleaning. 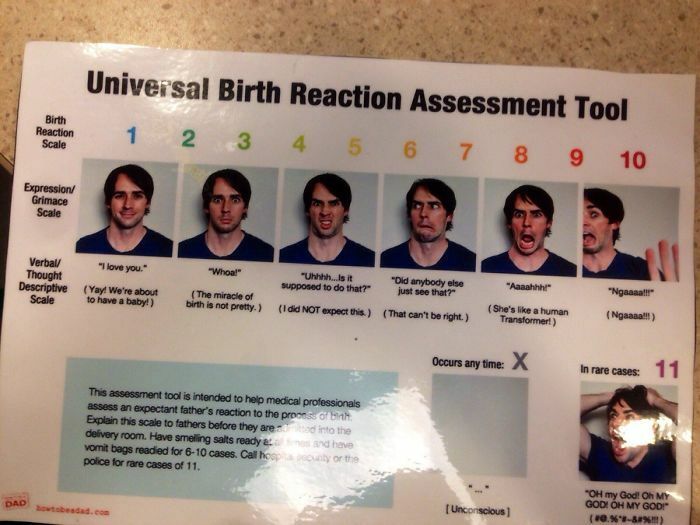 What an accurate portrayal of a man during the labor and delivery process. 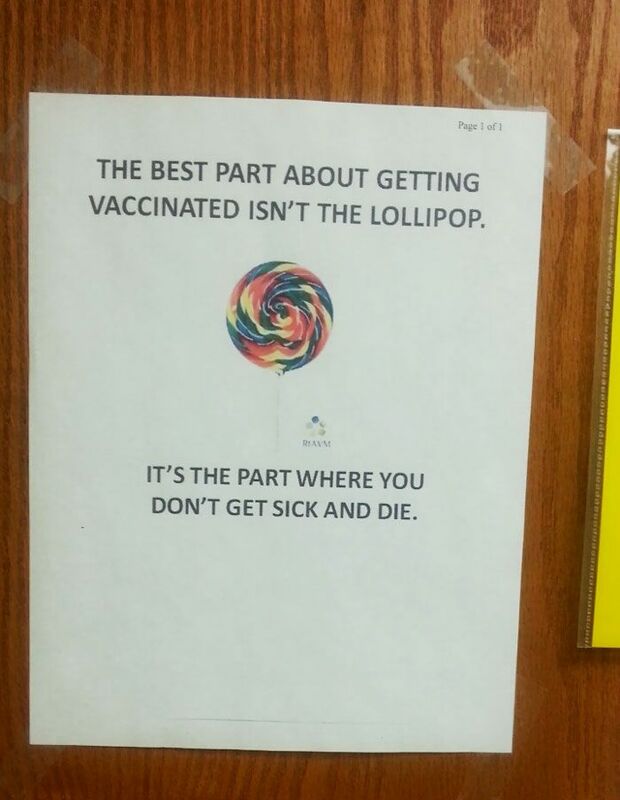 Getting a lollipop is great, but not dying is even better. 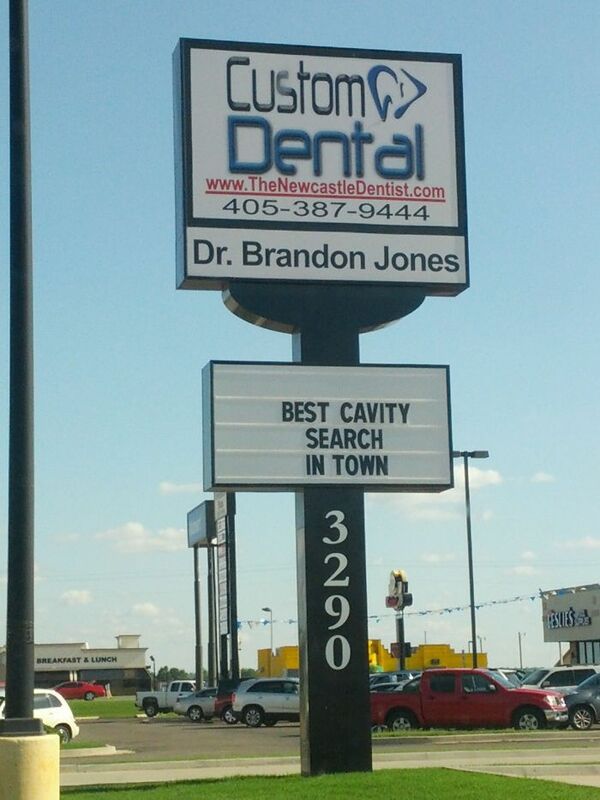 Do you think it’s better than a cavity search at the police station? 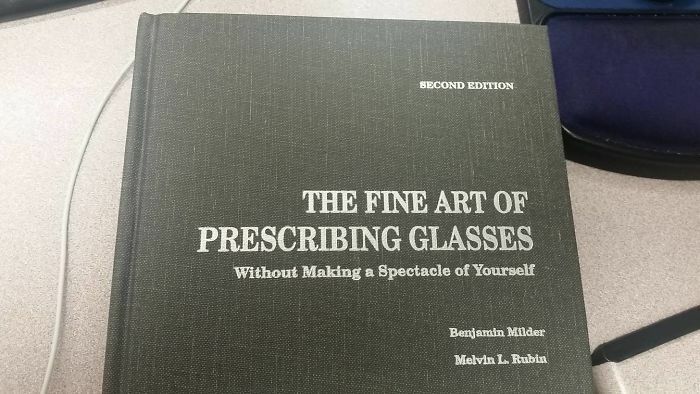 Even if you aren’t an eye doctor, you can see the humor in this.